TSHP034 – What’s Stopping You From Living in the Now? We’re 34 episodes in to this little adventure of ours and it’s time to take stock of where we’re all up to. Do you live your life in the present? Are you ‘living in the now’? This episode is designed to focus your minds on everything that is important. Astonishingly, Sean also uses todays episode to admit that he doesn’t have all of the answers to life and that, occasionally, he might be wrong about things. Incredible! Read up on Bitcoin guys – big things to come of this! We’d be amazingly grateful if you could leave us a review on iTunes. It will really help us to build our audience. So, if your like what you hear (and would like to hear more great free content) then visit our iTunes page and leave us an honest review (all feedback gratefully received!). We've put together a selection of free resources that we think you'll love. 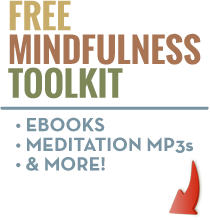 Enter your email address to access meditation mp3s, a free eBook and much more! Business owner, designer and lover of life. Founder at Dupe Creative and Live in the Present. Ambitious, inquisitive and highly approachable. We provide 21st century education for all ages. Our blogs, podcast, books and more are focused on giving you a better understanding of yourself. Dive in! We're dedicated to your emotional health and well being. Live in the Present © 2013. May the Schwartz be With You.